How do Ottawa’s top orienteering athletes prepare for Canadian Championships in the dead of winter? During the off-season, some of Canada’s high performance competitors practice their map-reading skills by playing video games and running through winter streets at night with a map in their hand. 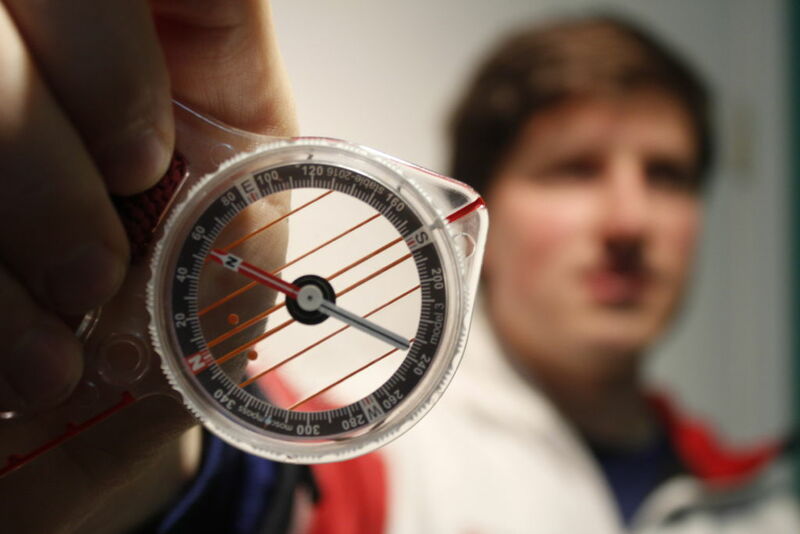 Orienteering is a sport where skilled navigation is essential. Excellent endurance is important, but an ability to read a detailed contour map of a forest and plan the quickest path from marker to marker, while running, is what will make a competitor stand out. Jeff Teutsch, coach of the Canadian high performance junior team says that since he started competing in 2008 there has been a consistent growth in popularity in the sport in Ottawa and across Canada. Ottawa’s competitive orienteering athletes are currently training for Canadian Championships in August 2017, which will be held in Perth, Ont. “The goal is really to move up from one tier to the next in the world rankings,” says Teutsch. The men are currently in the third tier and can send one man to the World Championships for each division. If they get into the second tier they will be able to send two men to each division. First-tier countries get to send up to three athletes to the World Championships. Canada’s top orienteering competitor is Ottawa’s Emily Kemp, who finished fourth at last year’s World Championships in Sweden. Kemp is ranked seventh in the world and is currently living and training in Finland. Canada’s top men orienteerers, Teutsch says, are aiming for 40th at the World Championships. To compete at the highest levels there are three main aspects to master in the sport; the physical endurance, the map-reading skills and the psychology. It’s off-season right now, so the national team is working on these elements of orienteering in unique ways. To keep their physical endurance up, members of the high performance program go out on weekly runs through city neighbourhoods with street maps in hand. They are used to much more complicated maps with elevation contours and features such as rocks trees and rivers. To keep the city exercise somewhat challenging they remove all the features from the map except for northern lines. It doesn’t necessarily improve their map reading skills but it keeps them used to running with a map in hand. To practice their map-reading during the off season, some of the members of the high performance team get together online to play an orienteering video game. “What I find interesting about it is you still have to be very focussed. You get distracted and just like out in the field you keep running and realize you don’t know where you are anymore,” says Teutsch. Understanding maps and terrain becomes very important for international competition. There is an international standard for the maps, says Teutsch, but small differences in interpretation by map-makers, as well as differences in terrain between countries makes it tricky for competitors. To make international competition fair, the organizers of the competition must post old maps online so that competitors can study them and get used to the minor differences. Teutsch says he took the junior team to Switzerland a week early last year to acclimatize them to the high altitude and to figure out the maps and the terrain. “When we saw those maps a the world championship races it wasn’t a total shock,” Teutsch says. They studied those old maps and drew some courses on them trying to plan the fastest route on paper. But the athletes are not allowed to got to the forest to practice before the races. The final thing that the high performance competitors have to contend with is the unique sport-psychology of orienteering. There are a few elements of the sport that can limit certain competitors. One is the distraction of seeing someone else in the forest when you run your race. “You start thinking, ‘did this person catch up to me, or did I catch up to him?’ explains Teutsch. Any time a competitor is not focussed on exactly where they are and where they are going, they can get lost. The ability to reset quickly can make all the difference in a race. 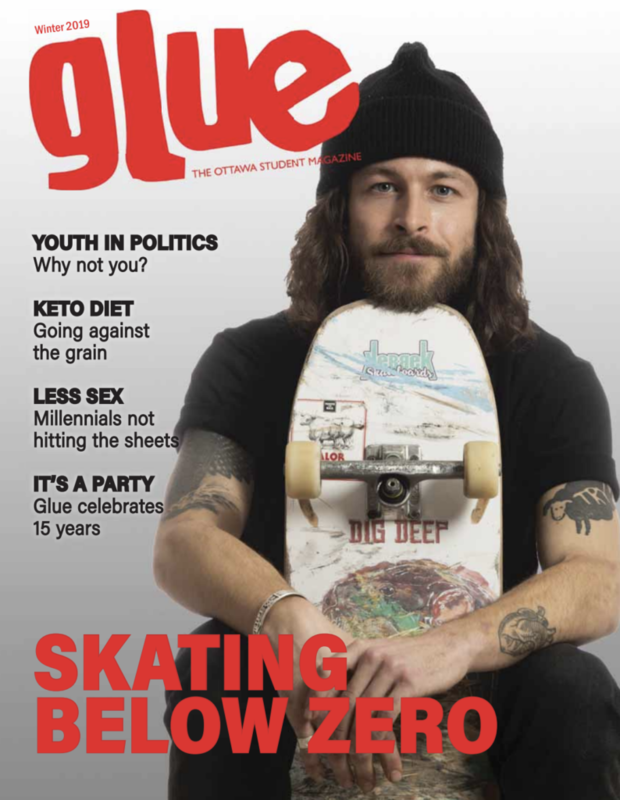 Follow Jeremy Plante and Glue Magazine on Twitter.